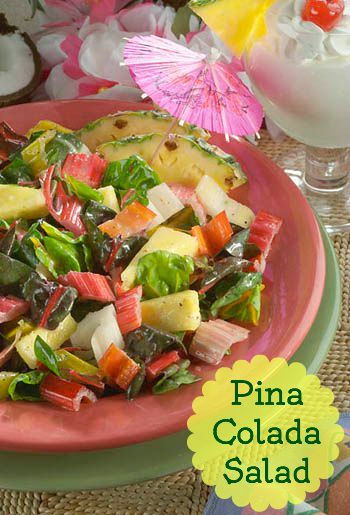 In a large bowl, combine the Bright Lights and the pineapple chunks. In a small bowl, combine the remaining ingredients; mix well. Pour the salad dressing over the salad, toss to mix well; serve.